After thorough research, you may have taken the decision to invest in an electric blanket to help you get through those cold winter months and save on energy costs in the process. However, as with everything else, there is a right way and wrong way to use and care for your electric blankets. It can be a very delicate item and if not handled properly is susceptible to damage which may cause it to stop working or, in the worst case, cause some kind of damage to the user or the surrounding areas. It is very important therefore that you strictly follow the manufacturer’s instructions for use and care and at the same time, use some common sense techniques to ensure that the blanket is not damaged and remains in working condition for a long time. 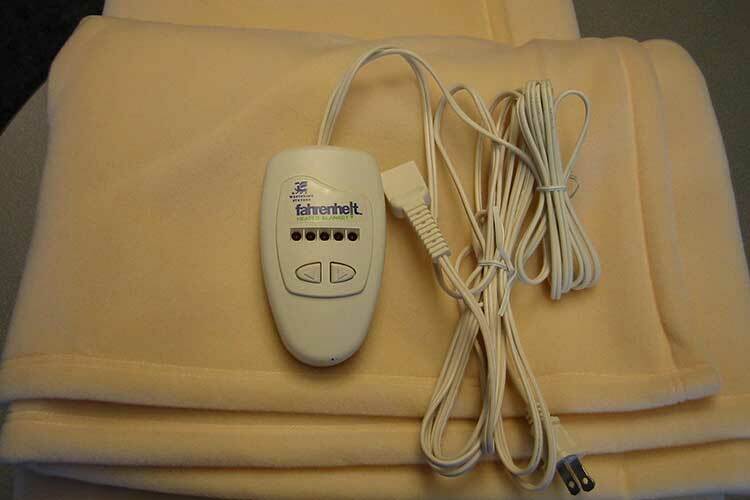 Most electric heated blankets, to the surprise of many, can be washed in a machine and dried in a dryer. The key is how you handle the blanket during the process. You simply have to unplug the power cord and place the blanket in the washing machine on the gentle cycle. The same goes for the dryer – use the spin or air dry function to dry it. If washing by hand, remember that this is a very delicate item because of the internal heating wires. This should not be damaged in any way, so therefore you should agitate it as little as possible and then carefully rinse. Never use clothespins to secure the blanket to a drying line. They should always be laid flat to dry as the preferred method and, if this is not possible, gently place them over a line or other smooth surface to dry. When the blanket is not in use, it is best to store it rather than to leave it lying around where it may get damaged. The blanket should never be folded as this may cause the wires inside to break. Instead, the blanket should be rolled to minimize damage. You may choose to lay the blanket flat on a bed that’s not being used and leave it there until you are ready for it again. This is fine as long as you do not place any heavy items whatsoever on the blanket in order to avoid cord damage. 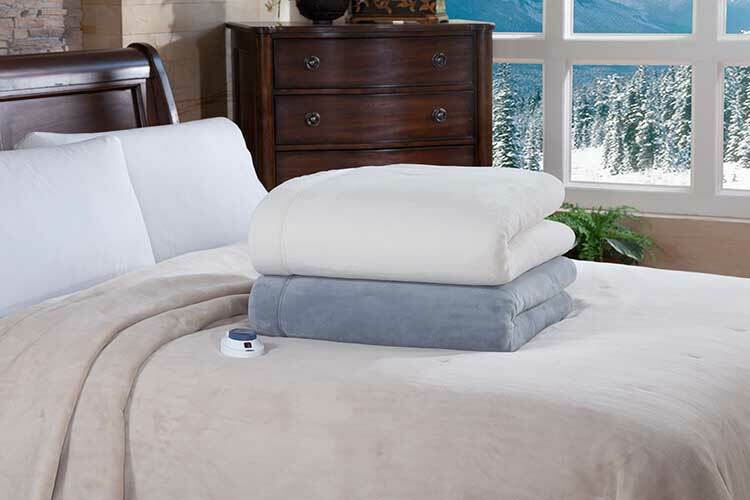 It may seem like a good idea to have the electric blanket dry cleaned as it minimizes handling. However, the dry cleaning process uses a lot of chemicals which can damage the blanket and, for that reason, they should not be dry cleaned. As with any other similar item, the blanket may have wrinkles or crease marks appear. While this may be a problem for some, it’s a problem they will have to live with as a heated blanket should never be ironed. Steaming is also not a good idea because the blanket should never be allowed to get damp or wet unless it is being washed.